The summer is the best time for family holidays. 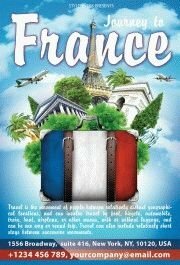 If you want to spend your time with your family in relaxing ambience you will need to opt the right travel agency. People All over the world spend a lot of their money on their vacation. 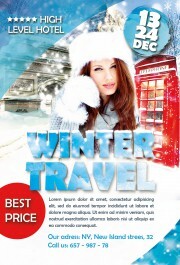 But there are many competitors on the travel agency market. 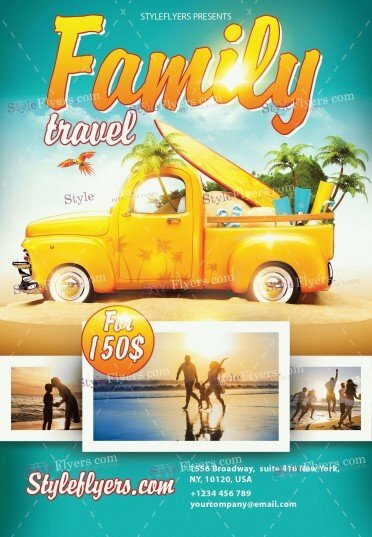 If you want to promote tour family travel service and stand out form the other you should turn your attention to our new premium Family travel PSD flyer template. Purchase it just for $2.49 and boost your business. 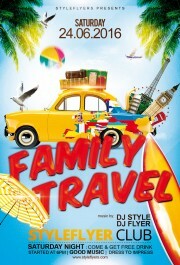 We try to convey all advantages of family vacations, so we make this flyer bright and sunny. At the bottom of the flyer, you can see the photos of families, which spend their time together near the sea. 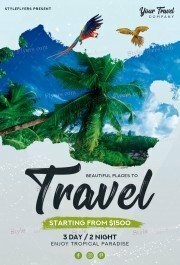 These photos look very catchy, and they will attract many new clients to your travel agency. 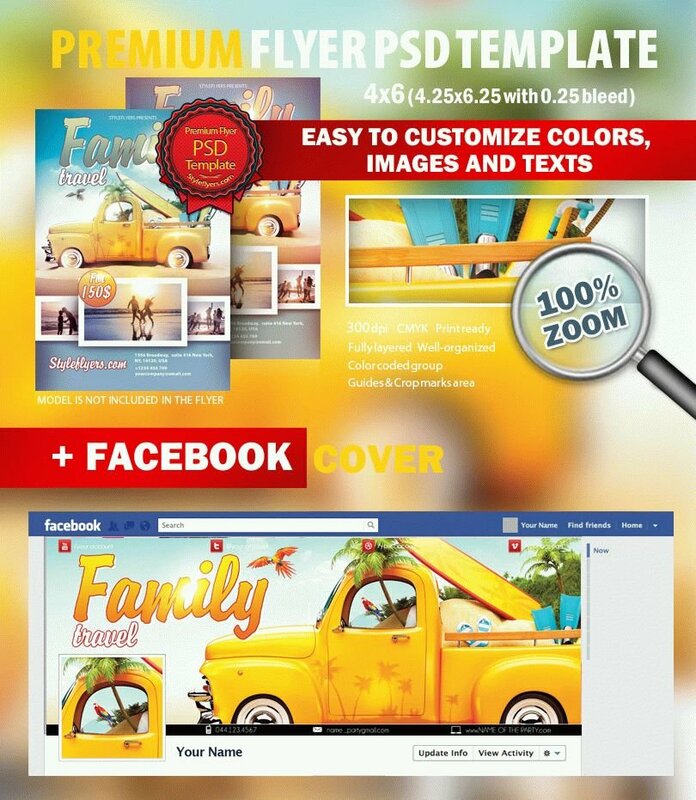 If you want to promote your services, just purchase our premium flyer, customize it and spread it via the internet. Use our free Facebook cover and enjoy its high quality.